If you wait long enough, the trends and styles that used to be popular will eventually have their comeback. It happened before with bell bottoms, jean jackets and even fanny packs. But the cyclical nature of trends isn’t confined to clothing. It happens in the housing market, too. Joseph Eichler was a visionary that populated California with beautiful mid-century modern homes. In the ’50s and ’60s, he spread his dream of creating affordable homes that not only acted as shelter, but also as works of art. He brought the outdoors in through tall glass walls and open-air atriums positioned right in the middle of the home. Today, they are more popular than ever. The two key components in any popular home trend are a unique and attractive design and its ability to last. Eichler homes have both. Even among all that glass, Eichler homes have stood up to the test of time and nature. Bernie and Lyla Grossman, Eichler-home owners in California, said their glass wall has survived three earthquakes since they bought the home in 1963. These homes are known for their clean lines and minimalism – a trend many people today are embracing, according to Curbed. The atrium is a focal point in many Eichler homes. It serves two purposes: to bring natural light into the home and to provide an area where home owners can host guests. NPR noted that the Grossmans have a tree growing in their atrium. “In the last 25 years, residential design has really closed itself off to nature,” explained Adam Banks, a New Yorker looking for perfect mid-century home for his family and decided to build his own Eichler-style home, though not in a place the original architect was likely to develop, Curbed reported. Banks and his family live in New York, but have adapted the style to meet New York needs. Aside from meeting today’s building codes, it also means adding insulation, something that wasn’t a top concern for the California builder. Eichler strove to build mid-century homes that could be enjoyed by everyone. Eichler homes were renowned for their form and function, but these weren’t the only reasons people held them in such high regard. NPR explained Eichler’s personal philosophy about integration drew in many people. 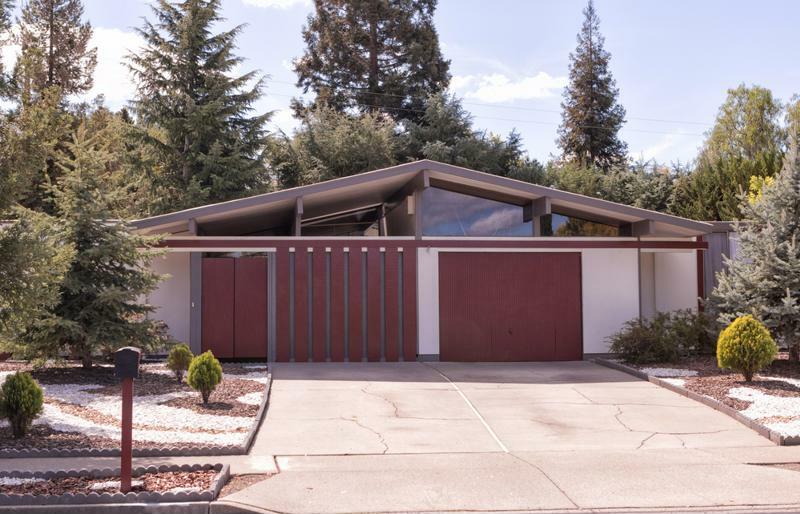 Eichler wanted everyone who wanted a modern home to have one. She said that the builder’s nondiscrimination policy allowed people to feel welcome in their new neighborhoods. Eichler’s legacy wasn’t just built with glass, wood paneling and stone walkways. It was also built with styles that have lasted a half-century and timeless goodwill. It’s no wonder Eichler is re-entering the minds of many home buyers hoping to find the perfect house. If you’re in the market for your ideal mid-century home, talk to the mortgage experts at Lenox/WesLend Financial or call 844-225-3669. As heard on the radio, it’s the biggest no-brainer in the history of mankind.